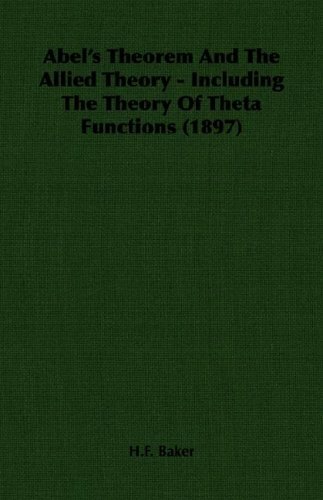 This classic book, written in 1897, covers the whole of algebraic geometry and associated theories. Baker discusses the subject in terms of transcendental functions, and theta functions in particular. Many of the ideas put forward are of continuing relevance today, and some of the most exciting ideas from theoretical physics draw on work presented here.